'We are used to thinking of Egypt, ancient and modern, in terms of the Nile valley: well-watered, green and fertile, a narrow strip of life-sustaining land between vast tracts of hostile desert. But this accustomed view is an illusion: even today, the deserts of Egypt - which seem so inhospitable - support flora, fauna and people.' Thus writes Dr Toby Wilkinson in the foreword to the stunning collection of images, with much additional material, from Egypt's Eastern Desert that are collected in the Rock Art Topographical Survey in Egypt's Eastern Desert. While the images form the heart of the publication (and colour versions of some can be seen in the previous issue of Ancient Egypt), equally important are the sections offering geological and historical overviews of the area, with reference to previous explorations. It is also worth drawing attention to the material relating to issues of style and context and the headaches these create in dating and analysing the images significantly. 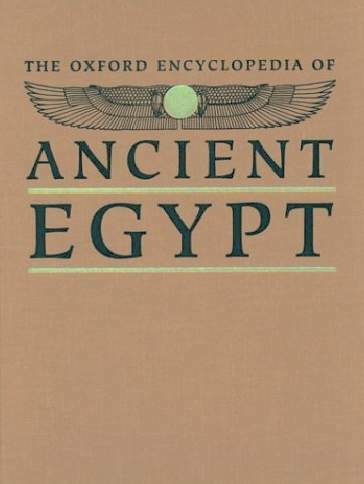 The book is a testament to the team work of many enthusiasts with a desire to make a serious contribution to knowledge of ancient Egypt's origins. (It is a 'not-for-profit' venture published by Bloomsbury Summer School.) This they have unquestionably done, with detailed information on the sites to accompany each set of images, including location, the date of the photographs and a descriptive list of the petroglyphs. The book also benefits from a substantial bibliography, useful glossary and excellent maps and satellite images. Additional value is provided by the applied use of the surveyors' observations. 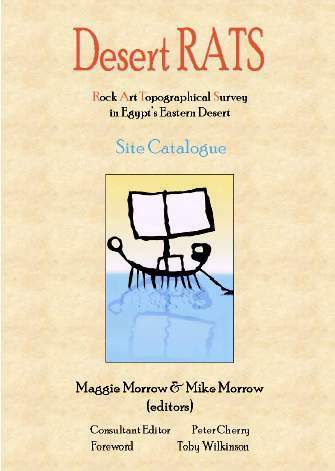 The editors, Mike and Maggie Morrow note, for instance, that 'it became apparent during site recording that certain topographical conditions encouraged the carving of petroglyphs...' followed by a list of these, including through wadis (as opposed to side or dead end ones), sheltered rock overhangs and so forth. Ippolito Rosellini (1800-43), the founder of Egyptology in Italy, was the head of the Tuscan delegation in Jean-François Champollion's joint Franco-Tuscan scientific expedition to the Nile Valley in 1828- 29. Six architects and artists accompanied each of these scholars in order to copy inscriptions and scenes in tombs and temples. Rosellini went on to publish the results of his mission in, I Monumenti dell'Egitto e della Nubia (Pisa, 1832-44), which became a highly influential Egyptological reference of the mid-nineteenth century. This massive work consists of some 3,300 pages of text and 395 elephant- sized folio plates. Just leafing through its remarkable collection of coloured plates is a sheer visual delight. While not facsimiles, the illustrations do, nevertheless, convey a more-or-less sound idea of what was to be seen on the walls at the time. The value of these recordings has increased over the years, as the destruction of the ancient monuments relentlessly continues. Several books have appeared that reproduce a selection of the drawings and paintings from Rosellini's famous achievement. Made by Wall To Wall, the multi-million pound TV series uses location filming and cutting-edge technology, alongside archaeological and linguistic research, to bring to life stories from up to 3,500 years ago. Ancient Egyptians recreates the splendour of this ancient world on a tremendous scale, drawing on the latest technology and digital effects and filming on location in Morocco and Egypt with over 1,000 costumes and 130 sets and locations. The result is, I have to say hugely impressive. Whilst I still spent some time looking for mistakes, I soon found that I was more impressed by what the programme makers had got right (incorporating some of the latest research, for example in the superb costumes worn by Thutmose III, based on those found in Tutankhamun's tomb) than being put off by what might be considered wrong. The aim was to make a series which recreated the feel and sights of ancient Egypt and, given the constraints of time, budget and what is actually practical, in that it has to be a great success. The programmes include a huge amount of information, so, for example, in 'The Battle of Megiddo', we don't just get the story of the campaign, but we learn how the soldiers were fed, trained, equipped and how their injuries were treated. With most dramatised documentaries, the characters speak in English and often use modern phrases, which might not be relevant for any historical period. Here the producers decided to have the principal characters actually speaking in ancient Egyptian, and we are given sub-titles and an excellent narration too. This works incredibly well and will be a delight for anyone interested in the language. The book to accompany the series, Ancient Egyptians: The Kingdom of the Pharaohs brought to life, is by Anton Gill. 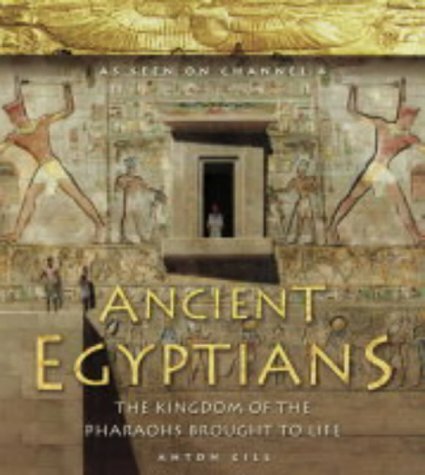 It is illustrated extensively using stills from the four Channel 4 programmes, which means that it is possible to illustrate parts of the stories not possible using contemporary images from ancient Egypt. Part one of the book looks at the history and various aspects of the civilisation, providing a background for the stories themselves. The main part of the book follows the TV programmes and re-tells the stories. All the facts are there but it is strange Deserving special note is the wonderfully elegant and authoritatively written commemorative volume by Edda Bresciani et al., Bilderwelten und Weltbilder der Pharaonen (Mainz: Philipp von Zabern, 1995). It is very unfortunate that an edition in English of it never materialized. The new large-format book of Franco Serino aims to briefly familiarize the general reader with the Franco-Tuscan expedition, and to present a generous number of the plates from this work. There are 120 colour illustrations alone, and most are accompanied by lengthy explanatory captions. The choice of material included ranges from both the sacred and secular spheres of ancient Egyptian life. The book will, therefore, make a good addition to an Egyptophile's home library. Those seeking a more scholarly treatment of the subject are referred to the title cited above. Title: The Monuments of Egypt and Nubia by Ippolito Rosellini. This is an overview of the book ‘accompanying Channel 4’s most adventurous television documentary ever’. It doesn’t matter if you haven’t seen the series, for a DVD is now available which includes an additional documentary about how the series was made, so this is really a review of the programme, book and DVD in one. I will admit to have been used as an advisor (in a very small capacity) to the series, but that doesn’t stop me being hypercritical when it comes to any documentary on Egypt. All too often the storylines are suspect and when actors are used to dramatise scenes, they often verge on the humorous. This series had, even at the planning stage over two years ago, great potential, for perhaps the first time a programme maker set out to take viewers on a fascinating journey through time, using true stories culled from rare and ancient texts to capture the energy and drama of people who were part of the most intriguing civilisation of the ancient world. The result is, I have to say hugely impressive. Whilst I still spent some time looking for mistakes, I soon found that I was more impressed by what the programme makers had got right (incorporating some of the latest research, for example in the superb costumes worn by Thutmose III, based on those found in Tutankhamun’s tomb) than being put off by what might be considered wrong. The programmes include a huge amount of information, so, for example, in ‘The Battle of Megiddo’, we don’t just get the story of the campaign, but we learn how the soldiers were fed, trained, equipped and how their injuries were treated. With most dramatised documentaries, the characters speak in English and often use modern phrases, which might not be relevant for any historical period. Here the producers decided to have the principal characters actually speaking in ancient Egyptian, and we are given sub-titles and an excellent narration too. This works incredibly well and will be a delight for anyone interested in the language. All the facts are there but it is strange reading this section as it is written almost as a work of fiction would be, not the simple historical facts we get in most books. So whilst we are told that some of the characters in the programmes are not known historically and that their actions in the programmes reflect what happened to real ancient Egyptians, in the re-telling of the stories, these characters are included as if they actually existed. Having said this, the stories do read well and if, as I suspect, this book sells well because of the television series, then it will undoubtedly be bought by people who might never have otherwise bought any book on ancient Egypt. The information for the most part is accurate and it is to be hoped that it will encourage beginners to read more on the subject. The illustrations are splendid, although several images of objects and wall paintings are printed in reverse (including Tutankhamun’s gold mask) which is always annoying, and some are wrongly captioned. This is always a problem when an author is not primarily an Egyptologist, who would have picked up these minor problems before publication. Buying the DVD means that you can watch the series again whenever you like (and they are programmes which warrant a second or third viewing). Perhaps the best thing is that you can watch the programmes uninterrupted by Christmas television adverts! The opportunity has also been taken to include additional material, which takes us one further step into the Ancient world. Warriors and Thieves and Priests and Dreamers explain more about the people of ancient Egypt, the divisions of class and labour, as well as delving deeper into their religious beliefs. Pharaonic Fashions looks at the clothing of the period and the glamour of the kings of Egypt, Digital Egypt and Reinventing Ancient Egypt go behind the scenes on the arduous production process for Ancient Egyptians, and explore the extensive research and historical development of the series. Speaking in Hieroglyphs is a fascinating feature on the language and how programme makers painstakingly reassembled ancient texts to produce such an authentic series. These extras are splendid and my only complaint is that we only have 35 minutes worth of them. The amount of research needed for the series was enormous, and the process of making the series is truly fascinating. The DVD is released by Warner Home Video. The price is £19.99 and there are special offers available in stores and places like the on-line play.com. Processing the huge amount of information now available about ancient Egypt could represent the full time task of a dedicated small institution – if it were worth doing. There are millions of web pages, hundreds, if not thousands of magazines and journals (ditto books published per annum), hundreds of theses, television programmes and DVDs and dozens of lecture tours. The focus now is on interactive, multi-media formats and professional Egyptology, far from being cosily stuck in a somnolent world of texts, has responded quickly and on the whole skilfully to meet the demand for more and more information using the latest technology. 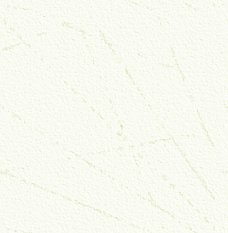 Texts – record keeping – are the core of the subject, linguists and scholars argue; so this is totally in keeping with the history and development of Egyptology. The modern Egyptologist often needs to be an ITand media professional as well. At least one university, wisely, is offering a course on Egyptology and the media. Just over a generation ago, within the classroom and at home, books were the principal resource of learning. Studious children risked a crick in the neck from poring over – and carrying from shelf to desk or table – volumes such as the Encyclopaedia Britannica, thus obtaining useful exercise in muscle training and comportment in addition to knowledge, a side effect now gone for the keyboard generation. Did they provide a good education? Looking at page after page of ‘flags of the world’ ‘animals of Java’ or ‘peoples of Nepal’ seems curiously sepia- tinted now but it was a start. Many leading Egyptologists must have included encounters with ‘Arthur Mee’ and the household atlas in their early studies. Any modern encyclopaedia (or encyclopedia) will first raise the question: is there a place for this now? The answer is in theory, yes, it’s very gratifying to have access to pieces written by acknowledged experts working together on a project like this, especially as each piece has its own (often excellent) bibliography. To cite one outstanding example, William J. Murnane’s piece on coregency provides information that, as far as I’m aware (readers please enlighten me if I’m wrong) is not presented in this concise and chronological way anywhere else. It’s virtually impossible for a single reviewer to review a huge three volume set like this and I haven’t read all the entries – yet. A review would never have appeared if waiting for that. An inevitability is, of course that items that are of interest to the reviewer, which might be sought first, simply aren’t there, at least under an obvious entry. Kahun, for instance, seemed to be of such importance that it warranted an entry of its own. ‘Cities’ is a listing, but not ‘towns’ or ‘settlements’. Some topics that seemed to warrant individual pieces were combined and condensed: ‘Coffins, sarcophagi and cartonnages’ for instance. A major issue, commented on by other reviewers, is the illustrative material (although there is some suggestion that there is now an updated issue with more colour plates, replacing the version that was available for review in this magazine). This isn’t just a quality issue, although some of the photographs were not outstanding. The interesting section by Katja Goebs on ‘Crowns’ seemed to be desperately in need of some more line drawings, for instance. The encyclopedia will definitely find an appreciative home in school libraries for older students (and a change from online Egyptology). Also, it would seem, in university libraries, where it would provide a particularly good starting point for archaeology students not currently specialising in Egyptology but requiring knowledge of the subject.